We have helped companies like NYSE, Pulte Homes, Shea Homes, AIG, DMB and countless more document and build systems around their sales, marketing, fulfillment and support operations. We understand supporting the way business works and have been architecting solutions to do that forever. As a long time WordPress developer, there is no better solution out there for your website. It gives you the ability to create a website that will not only look pretty but also help you do business. If you are going to have a website, it should be providing maximum value to you. 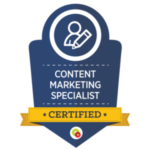 You need to produce content to rank in the search engines. WordPress makes that easy. You also need the site to actually do things. With its unrivaled ecosystem, nothing comes close to WordPress in capability. For membership functionality, there is no better solution out there than Memberium. It is just flat out designed and coded better. And when paired with Infusionsoft, it gives you the ultimate control. You can support any type of customer journey when you have the context Infusionsoft gives you and the granular control Memberium provides. Reach Out to Us About Your Membership Project! When paired with a conversion focused website and supporting CRM/marketing automation and funnel functionality, membership sites provide a way to generate ongoing revenue for clients through product delivery. While there are other solutions out there, none provides the power that Memberium does. The functional applications are vast. And it is developed with an intelligent architecture that allows it to outperform other competitors. 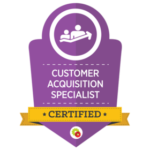 PurpleCRM builds membership sites from the customer’s WordPress website using the Memberium platform to integrate with Infusionsoft. By using this combination, we can fulfill purchases automatically after purchase delivering customers right to their ideal destination – their logged in purchase specific URL. Memberium membership solutions also support the sale and deployment of on-line classes. Offering dashboard (to encourage purchase of complimentary offers). Purchase or membership subscription support. Post sale (approval) purchase specific auto-login. Login nurture sequences (increases retention). Content consumption nurture sequences (increases retention, customer realized value & advocacy). Website speed/performance. (Many platforms out there are resource heavy and require specialized hosting. Memberium ties together the optimal business enabling platforms to facilitate recurring revenue for clients with minimal ongoing effort. 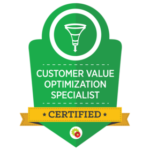 We have been involved with the chief CRM platform we work with today, Infusionsoft, since the beginning. We helped Infusionsoft launch their partner channel by writing their initial partner certification/employee training curriculum and teaching the first 7 certification classes for them. In fact, that was where we first met Micah Mitchell, one of the founders of Memberium!!! He was in the very first Infusionsoft Certified Partner class (which we taught for Infusionsoft). The funny thing was that, even back then, he already knew more about Infusionsoft than any other student in the room. We have always had a ton of respect for him and have been fans of Memberium since the beginning. Then you would be hard pressed to find a developer (David Bullock) that you would rather have responsible for the code that drives a platform so integral to your business. Amazing match of business strategy acumen and technical chops! The Memberium team also continues to innovate features and membership business strategies that other solutions haven’t even thought about. Every year right after ICON, Infusionsoft’s user conference, the Memberium team brings some of the top marketing and membership thinkers in the world together for their own event, the Memberium Implementation Summit. 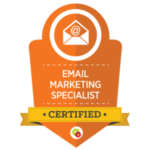 At this event, we are all lucky to benefit with cutting edge membership site strategies and tactics that dramatically impact our businesses.